This is a fun project using recycled shutters. You can make this fun sign, no problem. All you need is an old shutter, a piece of scrap wood, and letter stencils unless you can freehand paint. I have to use stencils. If you’ve spent much time with me, you know I’m a junker. 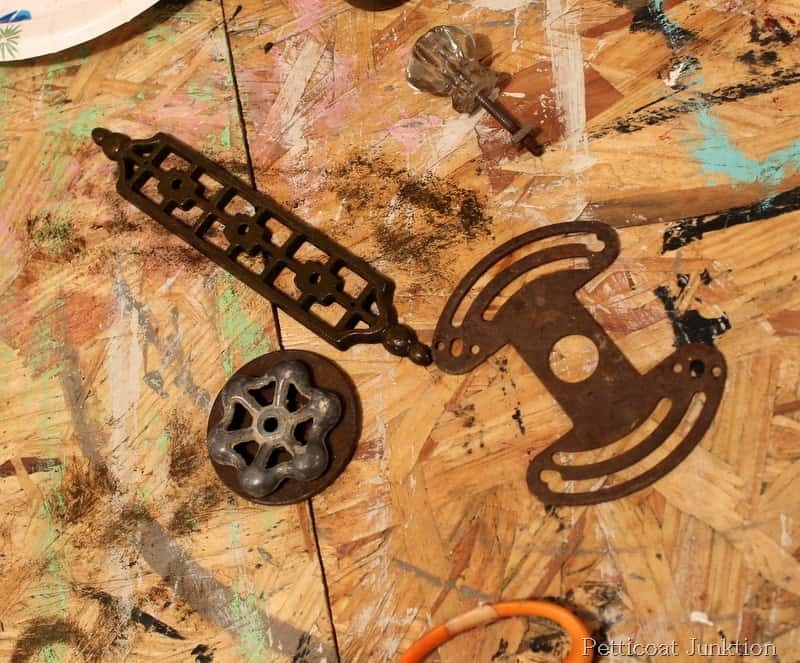 I assemble Angels from reclaimed wood and junk hardware, and some of my rusty finds and cabinet doors become wall hangings. I also make shutter signs using old junky shutters. I got the shabby shutter at the junk shop. The color was perfect. There was only one problem……it wasn’t distressed enough for me so I distressed it a little more. I used the electric sander for this job because i wanted to really remove some paint and painted shutters are really hard to distress. Too many edges. 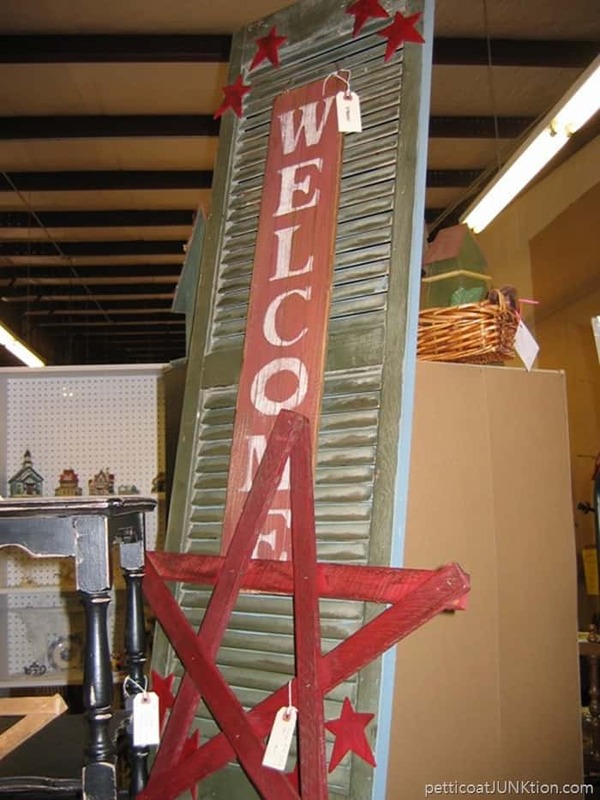 Next I needed a piece of wood to make the “welcome” part of the sign. Pulled one out of my wood bucket. It needed to be the right size for the shutter…..proportion wise. 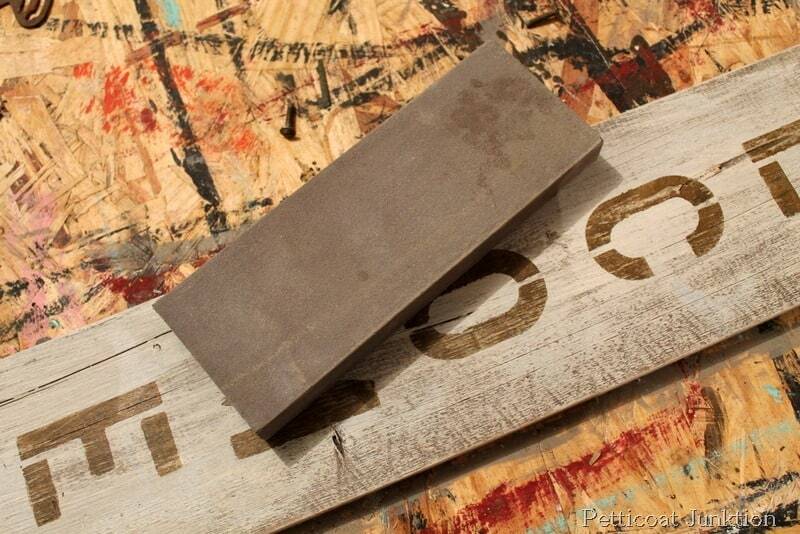 This piece of fence wood was reclaimed (by me) from someone’s front yard. We lived in Florida for several years, just after they were hit with 2 major hurricanes. Homeowners were stacking their destroyed fencing beside the street for garbage pickup. Every morning when the JTS (otherwise known as the hubby) left for work I would drive through neighborhoods and load up on fence boards and other cool finds. My son (28) thought I was kidding when I told him about my curbside pickups. Nope. Sorry to say I’ve used almost all of the fence wood. 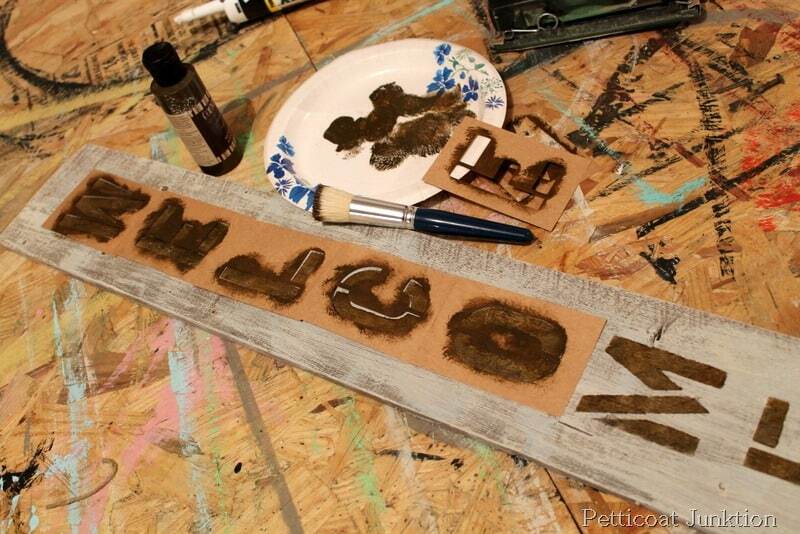 I dry-brushed a little white paint on the wood board and placed the stencils once the paint was dry. Sorry but I didn’t get a photo of me doing the actual stenciling. Sometimes it’s just fun to go with it and forget about the camera. Brown paint for the stencils, then I used the sanding block to wear away a little of the lettering. Perfectly inperfect. A few pieces from my junk crates…..trying to decide what to use on the shutter. A bit of detail was called for. 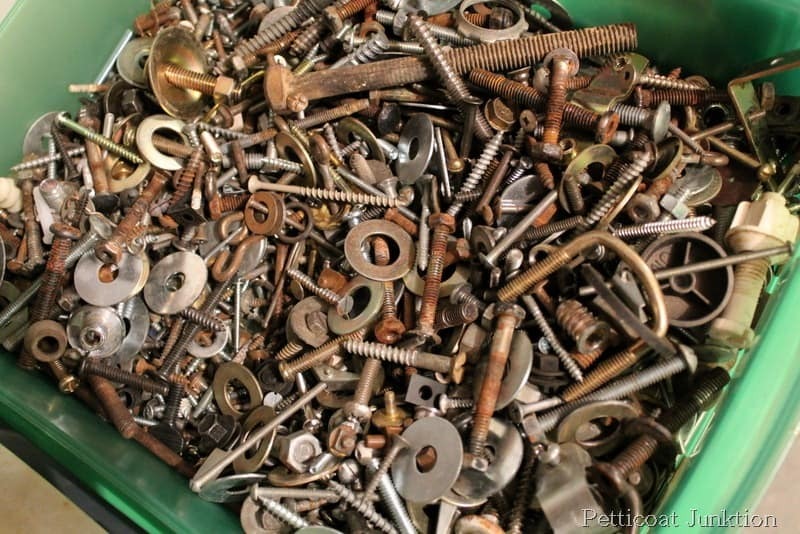 My collection of odd screws, bolts, washers, etc. Sometimes it takes hours putting together the projects…… finding the right hardware and then screws the right length and width for the boards and hardware pieces. But the process is fun. All put together and hanging against the burlap wall in the workshop. 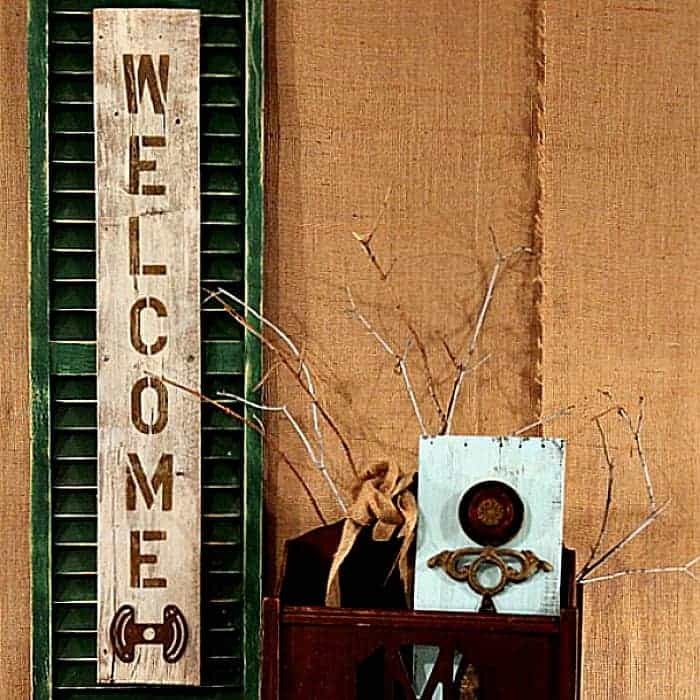 I attached the welcome sign and all the rusty pieces to the shutter using tiny screws. The hardware got a good cleaning and a coat of Howard’s Wax (Amazon affiliate link) to preserve the patina. The magazine rack holds one of my reclaimed angels. 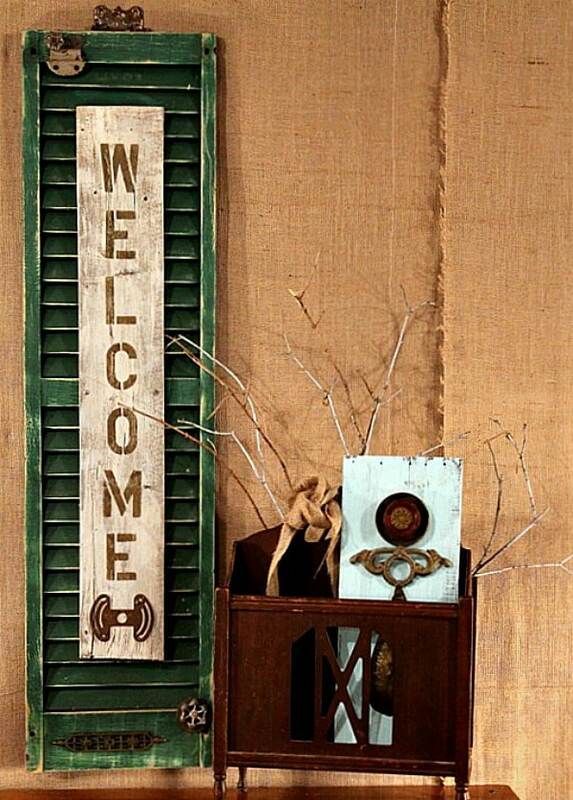 This old door hinge was perfect for the Welcome Sign hanger. 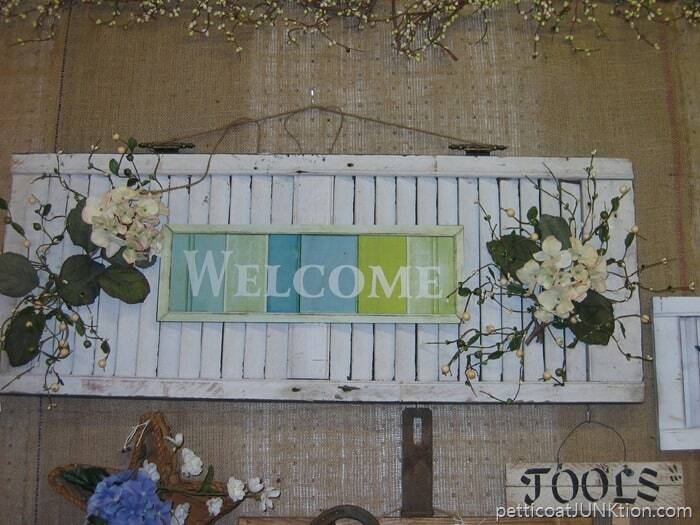 Close up look of the distressing on the shutter and the welcome sign…..also the dry-brushed paint. I have a couple of photos of other shutter signs I made when we lived in Florida. 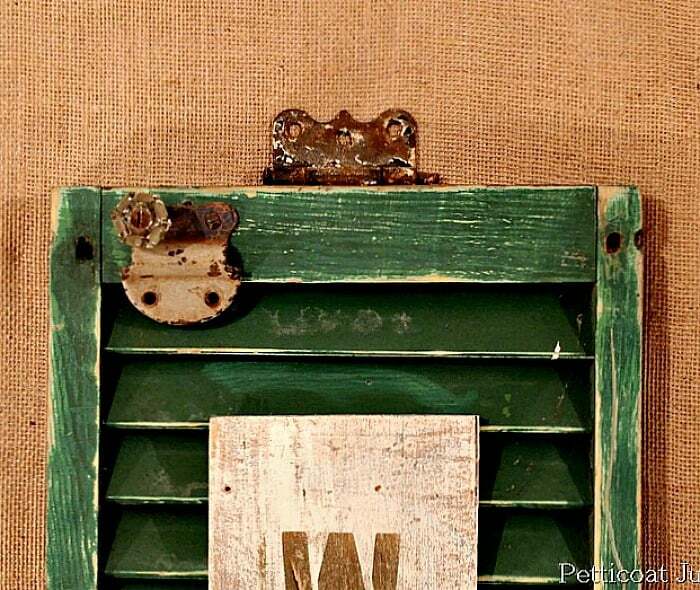 The photos were taken at my booth at Alyssa’s Antique Depot. This was one of my favorite shutter signs. 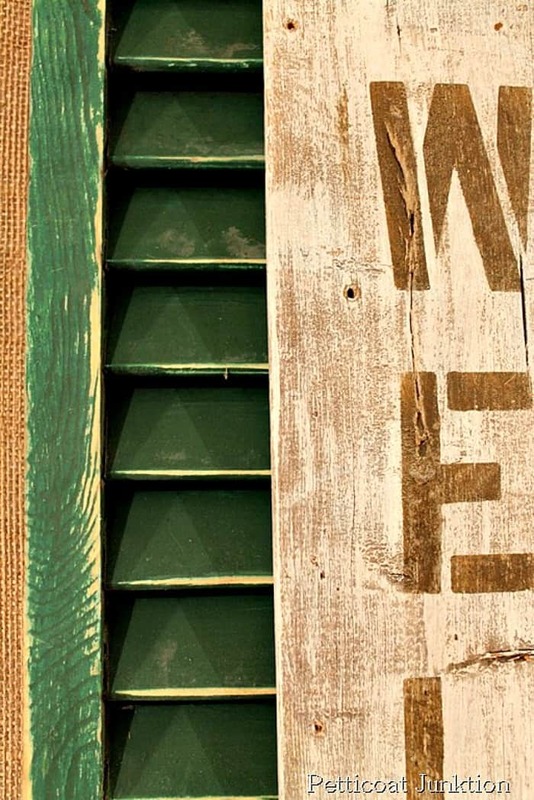 This welcome sign was made with a green shutter too. The large red star is not part of the sign. Hope you liked the shutter signs! I may start making these again. 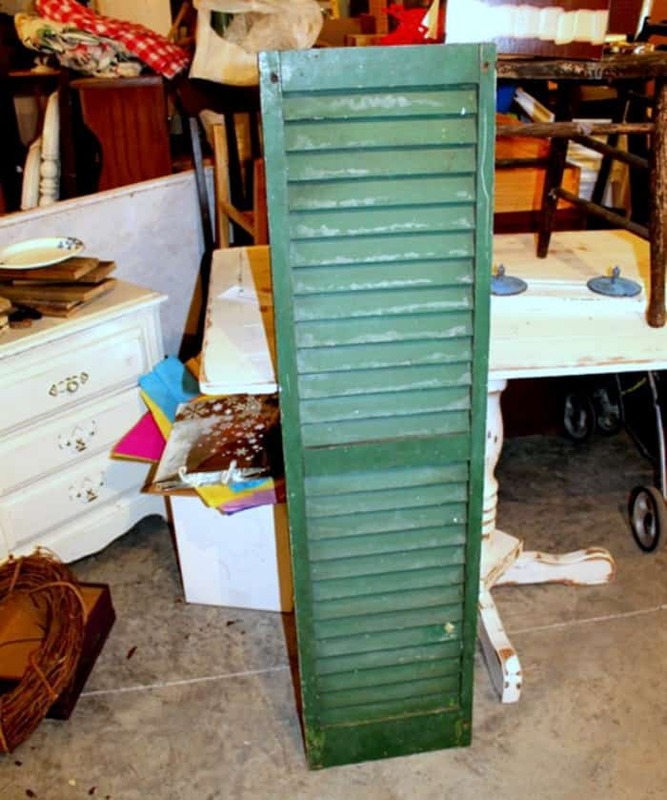 I just have to find the perfect shutters first….not too big and they have to be a bit shabby. Comments would make me do the happy dance! You are very talented and have a great eye. You continually inspire me to try new things and give me so many ideas. Love the shutters, especially the white one in spring colors. THANK U! 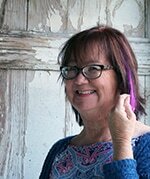 I love these shutters Kathy. I have one in the garage and it’s waiting for me. Thanks. Love love love this idea !!!!! 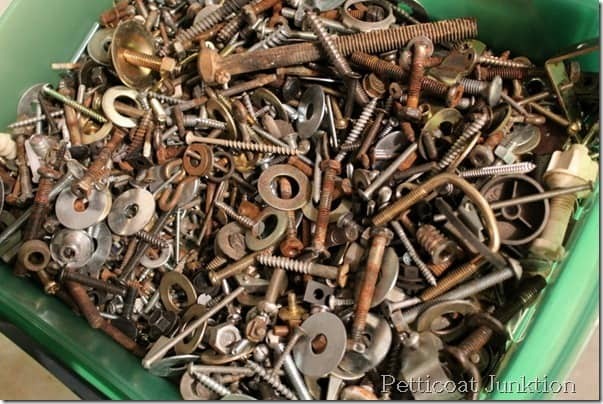 Also love that you have a salvage hardware stash ! Can’t wait to show my husband . He thinks I’m nuts when I always buy dirty hardware . Now he can see why ! Can’t wait for it to be warm enough to get out and do projects again ! Ms. Petticoat, (sorry but I had to .lol ) I’ve always loved your alias. I love your signs. Esp the magnolia? one. When i met my hub i had a store in TX. Roughly 1500 square ft. My local people would bring me their junk, like vintage and antique pianos old barn wood and fencing. I felt especially blessed. My art room in the back was bigger than some houses I’ve lived in. I miss it terribly! Moving forward , I have different rooms now for different types of art. Like ,sewing, paper stuffs and (my) basement hold most of my misfit junk. What my hub doesn’t confiscate . We raid each other’s spaces. We live in the middle of Pennsylvania (now)) so I stay INSIDE the house during Winter. My daughter said ” even the snow is tired of being cold” . I will be mass making signs once it has thawed. Bahahaha! If it ever will. Sorry, I left that info out didn’t I. Everything is attached with small screws except for the floral sign where I used hot glue on the artificial flowers. Love it! I have a mini shutter I’ve been trying to decide what to do with it -I’m thinking something along this line would be fabulous! 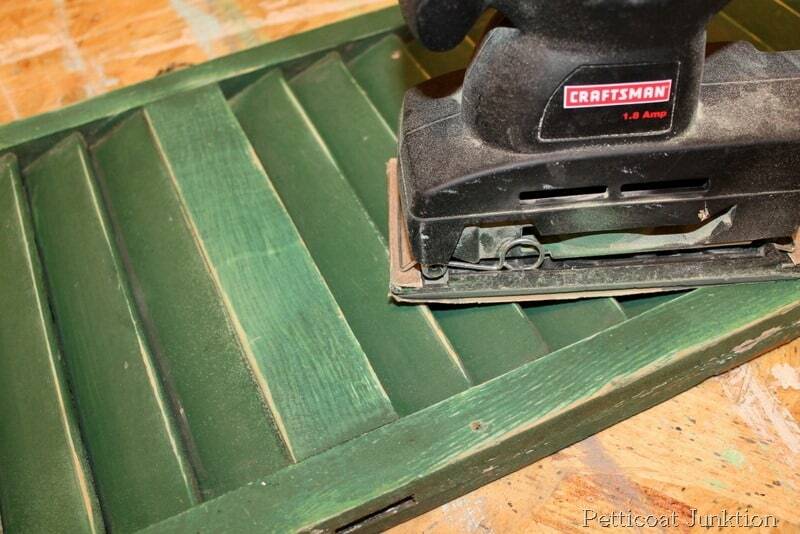 Can’t wait to see what else you repurpose -now following you! 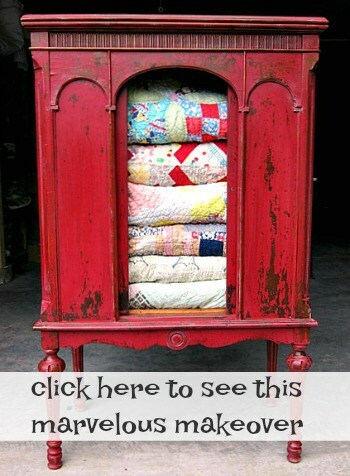 Love your Salvage Saturday idea! Hubby and I are just beginning our ‘stuff from salvage’ venture. We have just built a new shop because we sold the old one that was strictly a welding/fix-it shop for a man. I have claimed a corner in the new one. 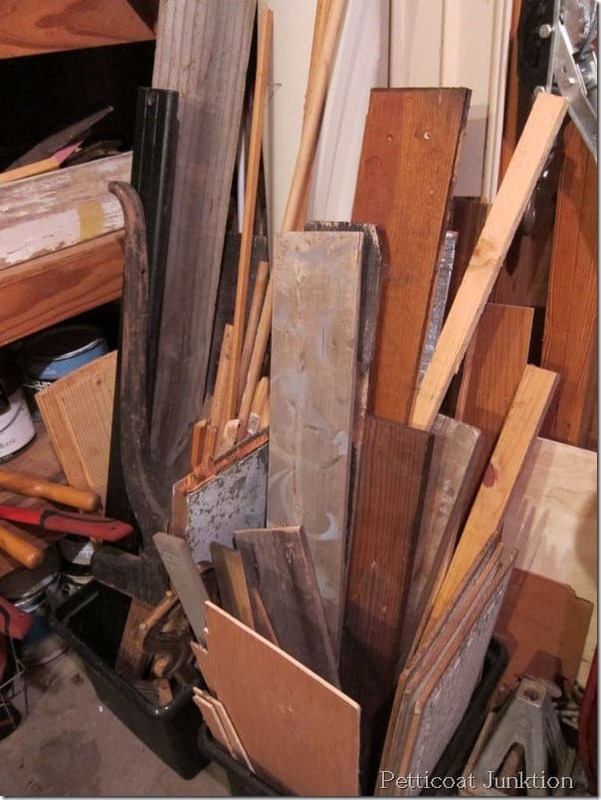 I noticed your organization in your shop area and am getting ideas for my junking.